The Sapu president believes changing the system’s framework, not firing the SSA head, will kill the rot. A damning report on political collusion in the State Security Agency (SSA) has upped the ante in President Cyril Ramaphosa’s battle against political opponents in the ANC, experts say. The DA is pushing for SSA head Arthur Fraser’s suspension and action against former cabinet ministers implicated in the report by the high-level review panel set up by Ramaphosa last year. The report followed allegations of political influence, including Fraser’s decision to withdraw the security clearance of the inspector-general of intelligence, ostensibly to block the release of information regarding political collusion. It found evidence that political influence in state intelligence agencies has been rife as far back as 2005, intensifying during former president Jacob Zuma’s regime. It also found that two former state security ministers, among other officials, had overstepped the bounds of office. 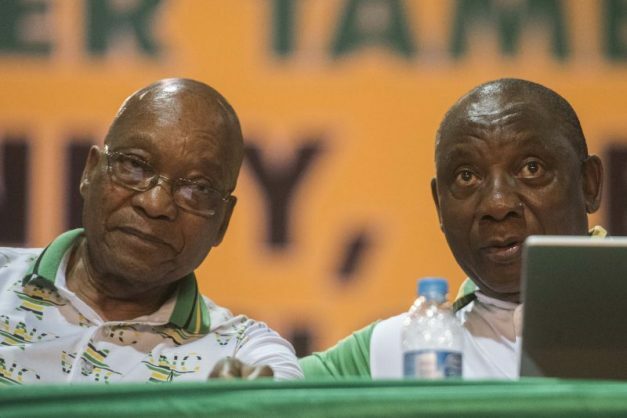 Political scientist Wayne Duvenage said Ramaphosa’s decision to release these findings to the public two months before an election was more of a pushback against Zuma’s powerful faction in the party than an attempt to score anti-corruption points with voters. Police Union president Mpho Kwinika said political influence in state intelligence agencies was as ubiquitous as it was impossible to root out, without completely starting over. “You cannot kill the rot just by firing Fraser. Unless you change the system’s framework, there will always be political influence in the intelligence community. Kwinika said the ruling party lacked the will to change the power structures in the intelligence community because it was the centre of political power within the ANC.